The 2018 VEX Robotics World Championship, taking place in Louisville, Kentucky, brings together the top robotics teams in the VEX IQ Challenge to celebrate their accomplishments and participate with the best teams from around the world and one team from a primary school in Rotherham is hoping to secure enough support to be able to send their team to the USA to compete. During the event, the teams will be working together and devising strategies to play the ‘Ringmaster Challenge’ 2017-2018 VEX IQ game. Apart from having designed, built and programmed robots to compete, the teams have created a piece of STEM research on robotics. 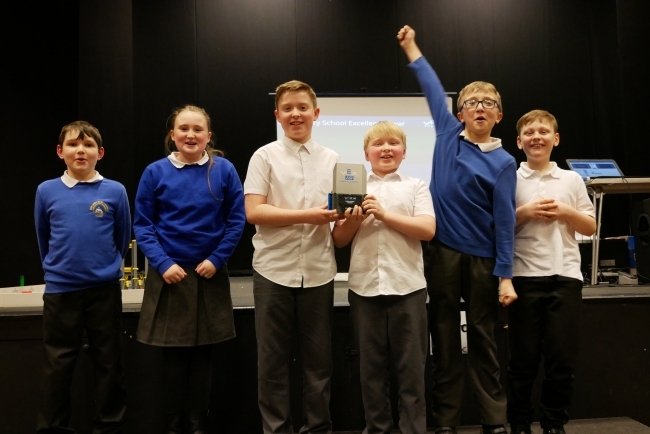 Our Lady and St Joseph’s Catholic Primary school in Rotherham is only the second ever UK primary school to have qualified for these world championships. At the regional competition, the “Wacky Wobots” team impressed the judges with their teamwork, research, design, driving and programming skills. Their STEM research project was to investigate how robots are already being used to treat diabetes and how they could be developed in the future. The project was designed around one of the team members who was diagnosed with diabetes this year. The team was awarded the ‘Excellence Award’ which gave them a ‘golden’ ticket for the World Finals in Louisville, Kentucky USA taking place between 28th April & 1st May this year. The school is looking for support and sponsorship from industry to send the six children and a parent to accompany each of them to Kentucky.